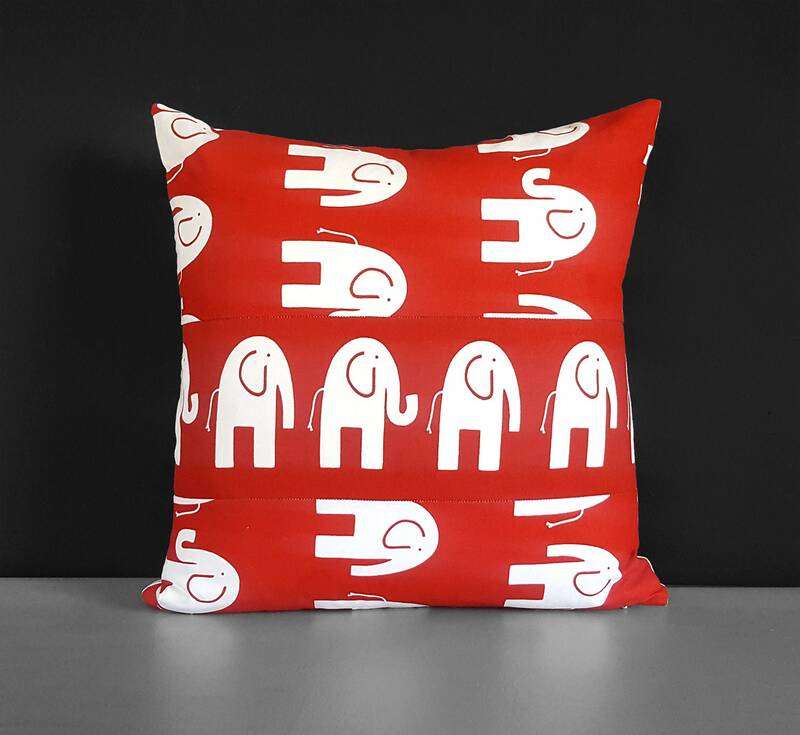 Gorgeous patchwork cushion cover in red and white elephants! Plain white on the other side. Invisible zipper closure, 18 x 18"